Crescent dial for latitudes 0-90 north. 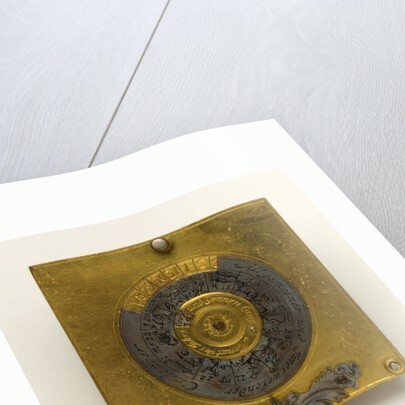 The dial-plate is gilt-brass while the leg and levelling screws are silver. 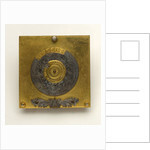 The hour-plate is also gilt-brass, with a silver date scale and hour scales, but the gnomon is possibly steel. The latitude arc and plumb-bob support are silver, but the bob is gilt-brass. 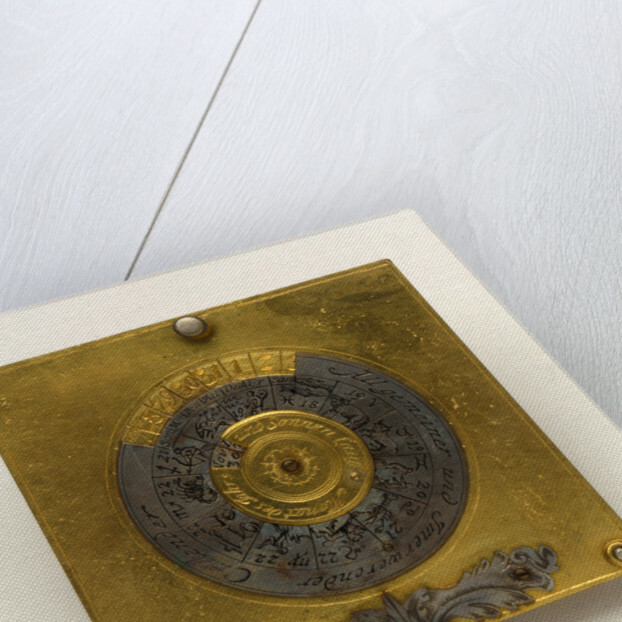 The dial displays a perpetual calendar and a table of latitudes, titled 'Elevation Poly' which provides a fairly large list of places in Europe. 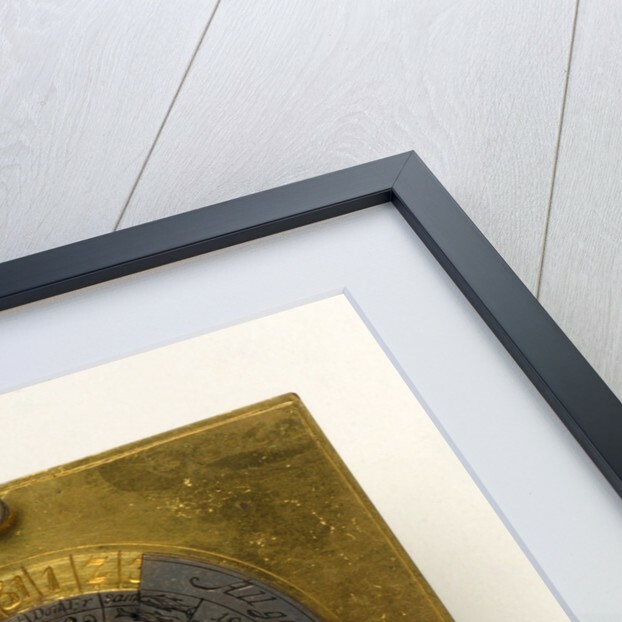 It is engraved 'Masig a Londen 52' on the obverse side of the dial-plate. 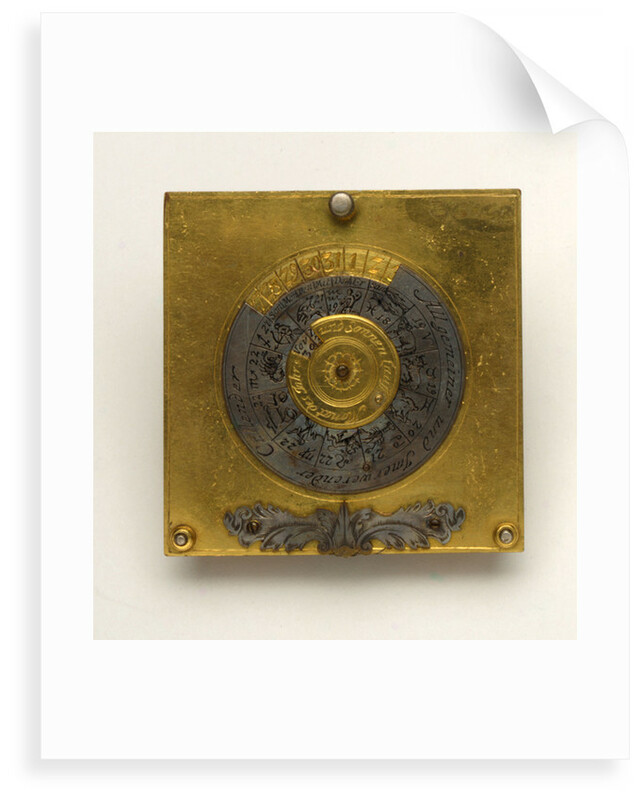 Masig was the London agent of a number of dial makers. The maker of this dial was probably either Johann Martin or Johann Willebrand.